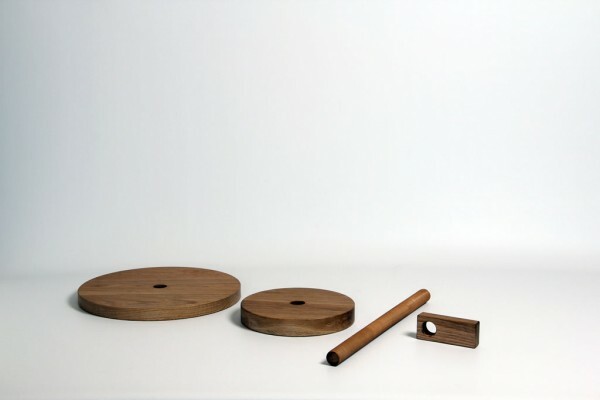 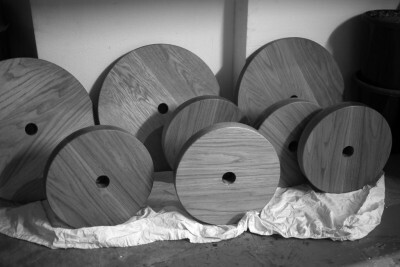 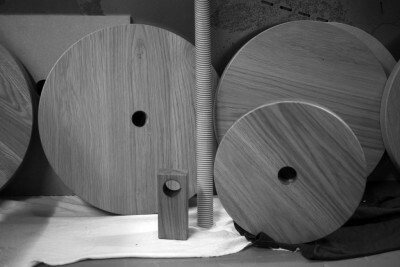 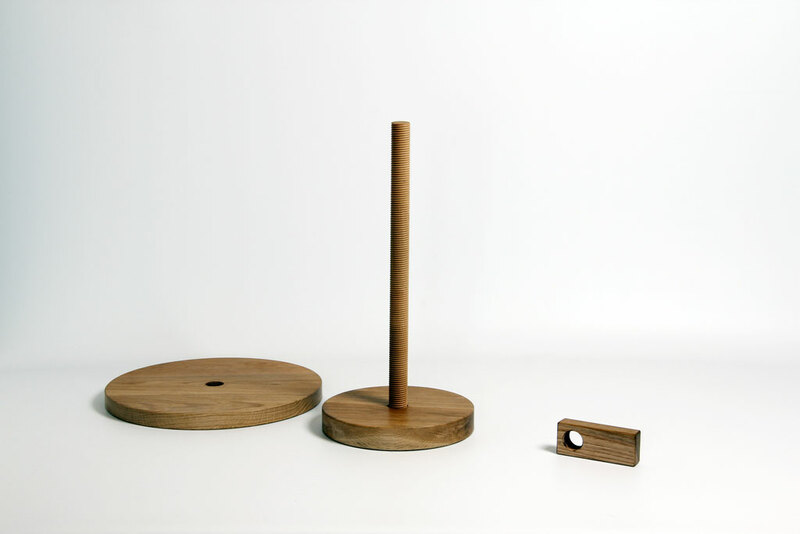 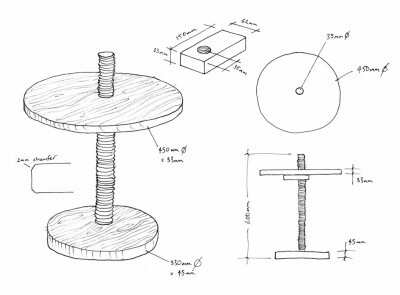 A small table of four parts, each screwing into the next, from a solid oak disc a table grows upwards. 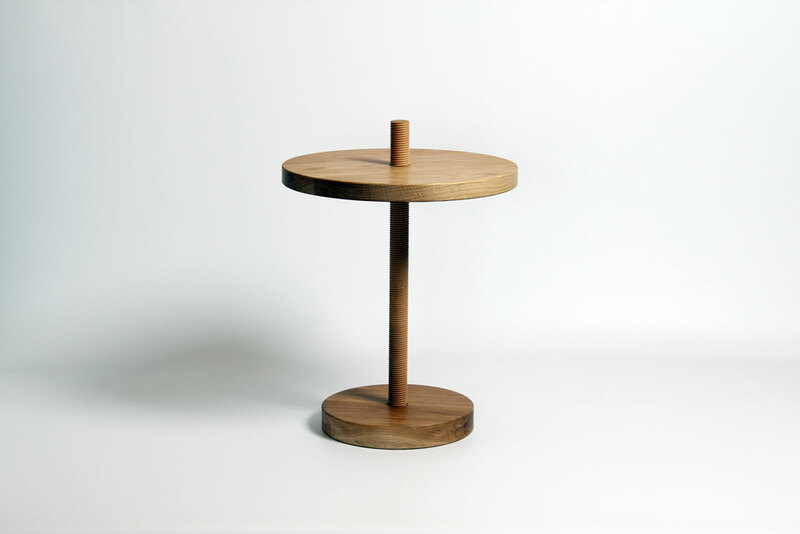 This small table functions from a threaded central leg that allows the table adjust from any height up to 600mm. 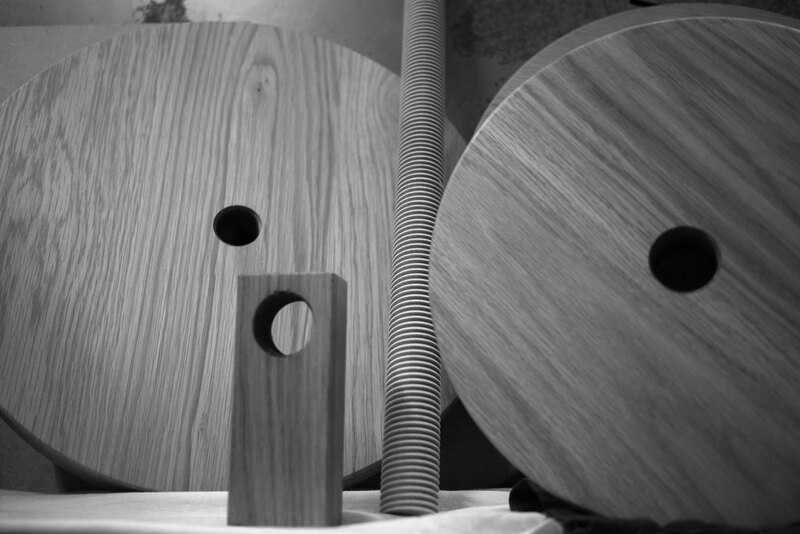 The table comes as individual parts and is easily twisted together. 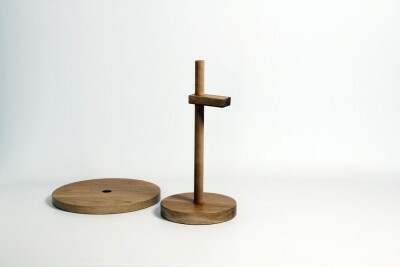 The design was inspired by a recent discovery of a simply thread-cutting tool that allows Max cut perfect threads in wooden dowels by hand, without the need for a lathe. 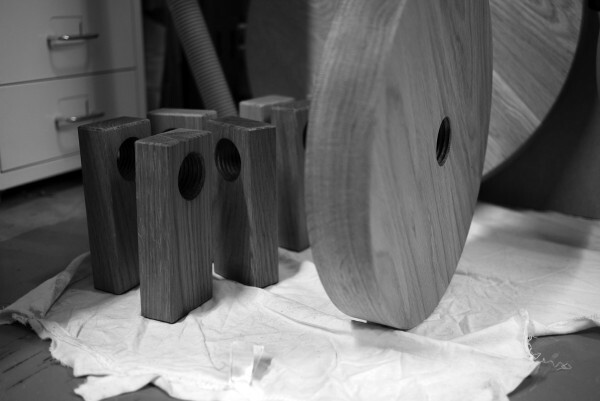 All the tables are made by Max in his London workshop exclusively for Makers and Brothers.